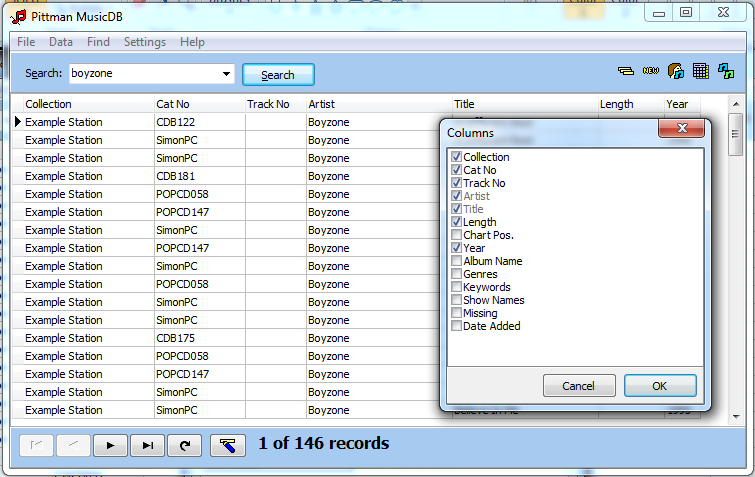 Click here for more information on our latest version of Pittman MusicDB! 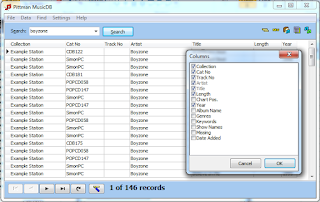 Pittman MusicDB helps you to catalogue your music tracks, including CDs, records, digital tracks and anything else you may have in your music collection! 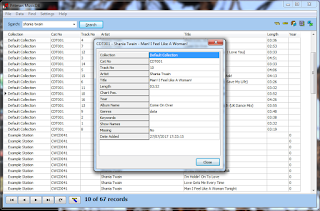 Import data from CD info on the web, MP3 files and CSV files. Highlight tracks you are interested in. Catalogue tracks for multiple stations/music collections. Add up to two additional fields. 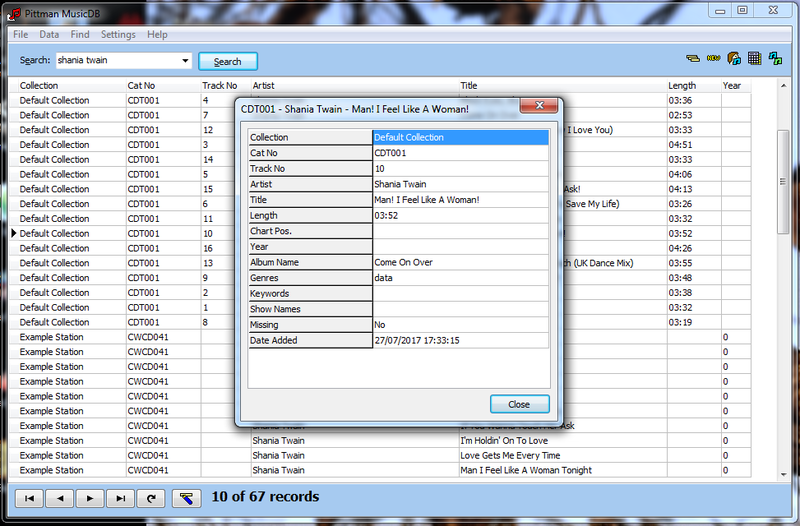 Easily find recently added tracks. Store your database on your desktop or a server. Version 6.1 includes improvements to importing audio files (including support for WMA and ID3v2 track info), improvements to editing the column layout and various other minor improvements - further details can be found in the product documentation. We can help you transfer your existing data across and develop bespoke versions of the application. E-mail simon@libraryplayer.co.uk to discuss further.